Surprising, Enveloping Light Installations #ArtTuesday « Adafruit Industries – Makers, hackers, artists, designers and engineers! 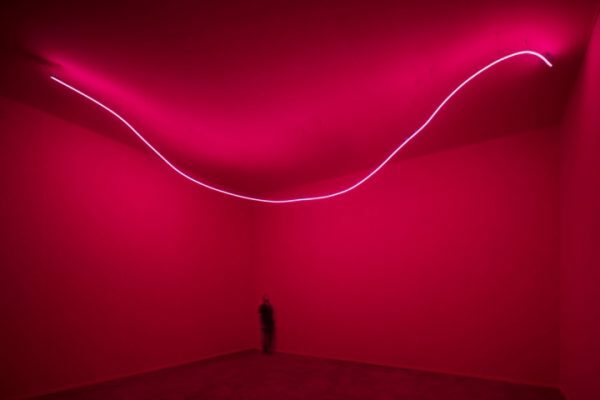 Pirelli Hangar Bicocca recently opened an exhibition dedicated to Lucio Fontana’s Ambienti Spaziali (Spatial Environments). 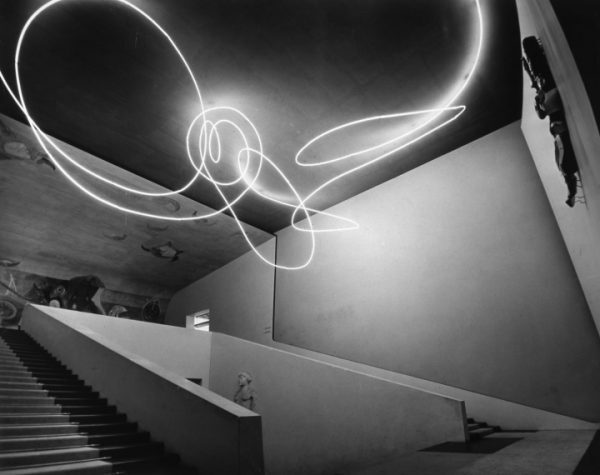 Ground-breaking installations conceived by the artist as ephemeral artworks staged in rooms and corridors, these works were mainly presented to the public between the end of 1940s and the end of the 1960s, featuring innovative visual effects such as neon and black lights. 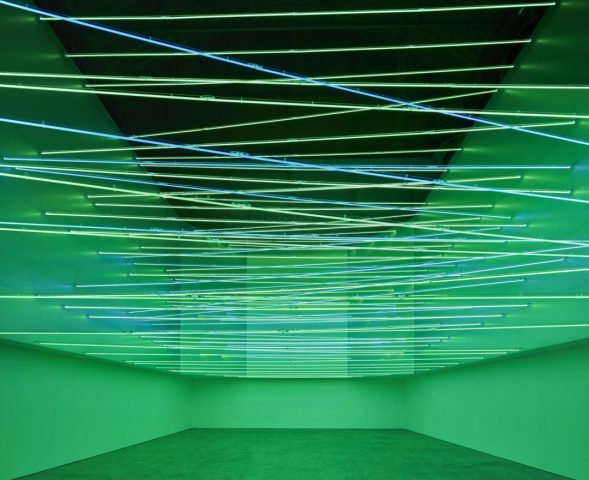 The exhibition at Hangar Bicocca presents eleven of these installations, displayed in chronological order — each featured inside a room reconstructed according to the original dimensions verified through meticulous research. Among Fontana’s least-known works, the Spatial Environments feel like the pieces that would allow for a better understanding of the depth and breadth of the artist’s practice, which is too often solely associated with the famous cut-up paintings. Born in 1899 to an Italian sculptor who emigrated to Argentina, Fontana spent his first years as an artist at his father’s workshop in Rosario, receiving a training in classical techniques, and then later joined the Academy of Fine Arts in Milan. Spending the first part of his career between Argentina and Italy, he produced academic sculpture influenced by the institutional language of art pompier and the decorativism of Art Nouveau, collaborating in the 1930s with some of the most prominent architects in Milan such as BBPR, Figini and Pollini, Zanuso, and Luciano Baldessari.